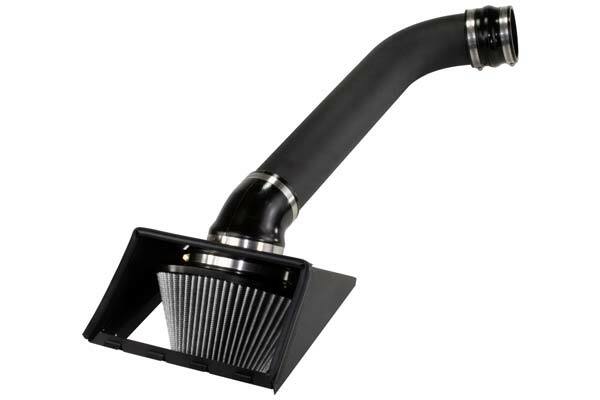 aFe 51-11622-B - aFe Magnum Force Cold Air Intake - FREE SHIPPING! I knew I needed to try something to increase my gas mileage. I am getting about 10.7 mpg in my 2010 F150 King Ranch. The 6" lift on 35's definitely does not help. I was skeptical at first but I am happy I made the purchase. I am getting around 12.3 mpg now. I calculated it out and I should have paid this thing off within the first year just from the gas savings. I was a little surprised with the "drone" sound at first but it has been growing on me ever since. Installation a breeze for a very novice truck owner. Designed for drop in replacement with very clear installation instructions. Best part is the immediate noticeable gain in power and responsiveness - very impressive. Love the humming sound. Can't tell if there's any significant improvement in fuel savings but it's secondary to performance. My only regret is that this should have been done 4 years ago when the truck was purchased. My 08 Ford Expedition is one of the largest SUV's in the market, and has only 306HP. I was not getting my hopes up with this aFe unit, but was willing to try anything to make my truck accelerate better. Huge difference - now, in passing gear, it no longer suffocates for air to get up to speed - I can enter onramps and pass other vehicles on the highway while going up hill. Increased noise is not irritating (was a concern) and actually less than planned. About 1/2 - 1 MPG better after one trip. Installation was a breeze, fit perfectly. The truck does not run lean with 87 petro. You will need a proper tune to achieve full performance with any CAI. So far so good. The product was easily installed. The sound of the product is great and does add some power. Not to sure with the fuel economy yet since it is winter in MN and the is no fuel economy then. I'm very satisfied with the ease of installation, added performance and the improved gas mileage. The installation was incredibly easy, it took me only about 20 minutes to get it installed. On the test drive I could already feel the increase in power and an all around better feel since my truck was able to "breathe" better. It beefed up the sound of my magnaflow exhaust as well. And lastly it increase my fuel economy by about 1.5 mpg average between both city and highway driving. I was averaging about 11.5 mpg before and after the instal it was around 12.5-13 mpg. Very good product! Reference # 756-432-496 © 2000-2019 AutoAnything, Inc.